0:00 Previously you could only start and stop the Draw & Zoom tool after you started your recording. 0:05 Now we've updated the recorder so you can start the Draw & Zoom tool right away by clicking the pen icon on the recorder controls. 0:13 First you should make sure you've correctly setup the size of the capture area and your audio settings for the recorder. 0:19 When you click the pen icon the recorder will still be paused. 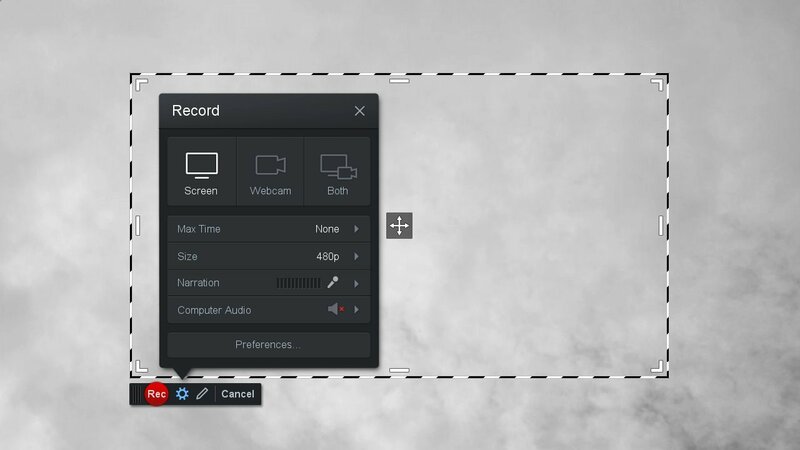 You can either click Rec to start recording as you draw or you can add drawings on the screen and then click Rec so your drawings show from the very start of the recording. 0:33 For example, in this recording we want to show a quick text title while we talk over an intro so we use the Text Area tool to add some text. 0:43 When you are done setting up the initial drawings, you can click the Rec button to start recording. 0:48 One note, if your capture area is fullscreen or large enough so it overlaps the control bar then the controls might be hidden in which case you can use the hotkeys to start recording which by default are ALT-P on windows or OPTION-P on Mac. 1:04 When you are done showing the drawings, you can press the Esc key to close the Draw & Zoom tool and continue with your recording.